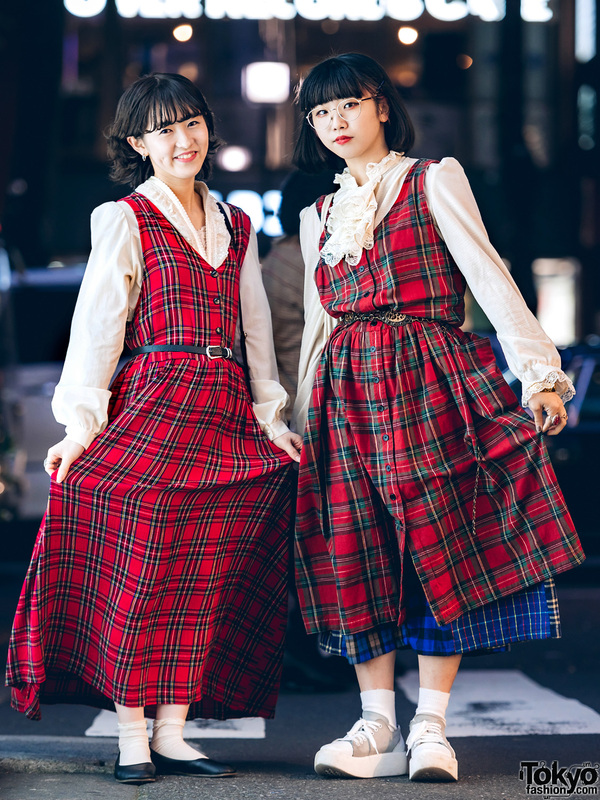 Harajuku duo sporting contrasting street styles including suspenders, a sheer coat, and sneakers. 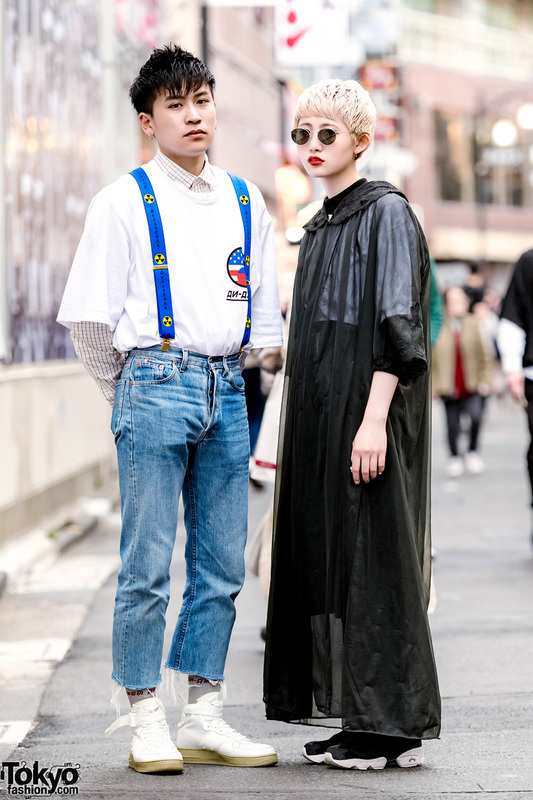 Harajuku staffer sporting a black and white minimalist ensemble while out and about on the street. Harajuku girl in gothic streetstyle fashion with vintage dress, lace up platform shoes, leather satchel bag and handmade spike bracelet. 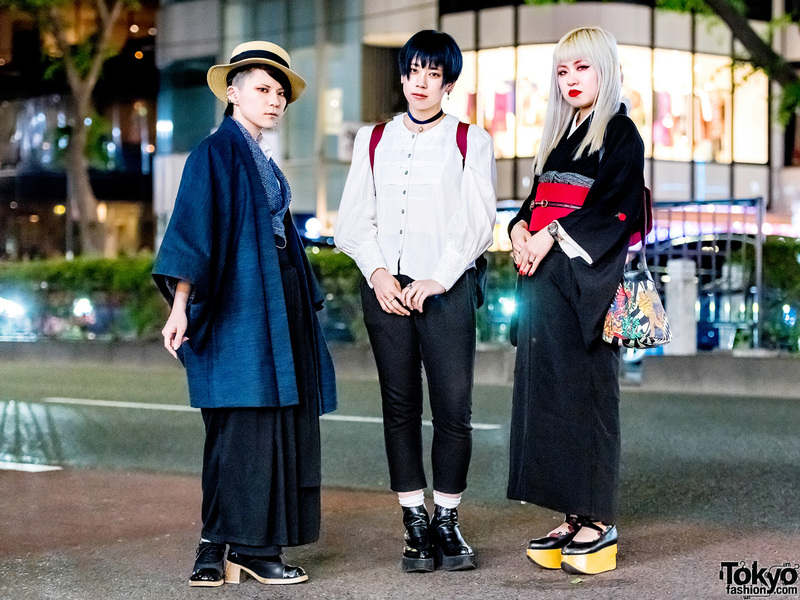 19-year-old Harajuku girl with pink-purple twintails and colorful handmade fashion, rocking horse shoes, and cute rings.